Then a fake Absalom appears, seeing that he’s safe, Moria let down his guard and get attack by shiryu, who now have the ability of suke suke no mi(Absalom's invisible powers). Turns out the fake Absalom is Katarina Devon, she is a mythical zoan type user, model ninetail fox. Blackbeard: you saw the newspaper this morning? 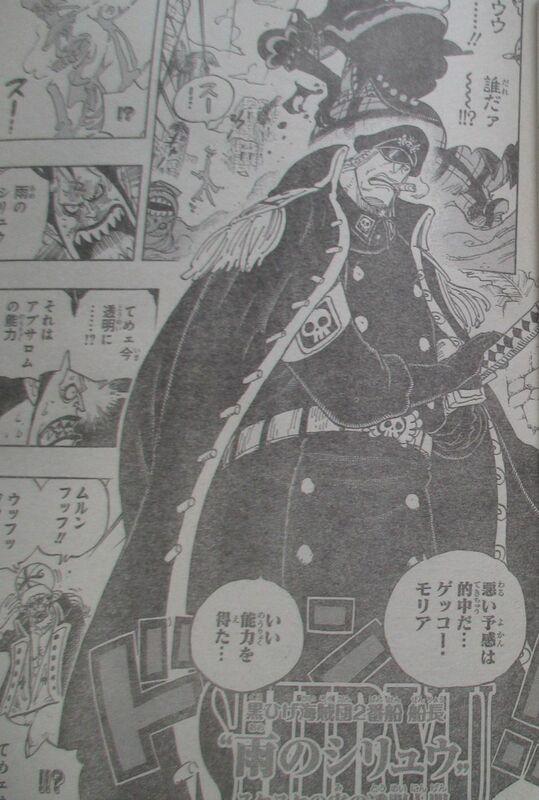 the Revolutionary Army is fighting Fujitora and Ryokugyu for 4 days into the Reverie to take back Kuma! Wano, where that “Monster” kaidou lives, the strawhats and the other brats are gathering! 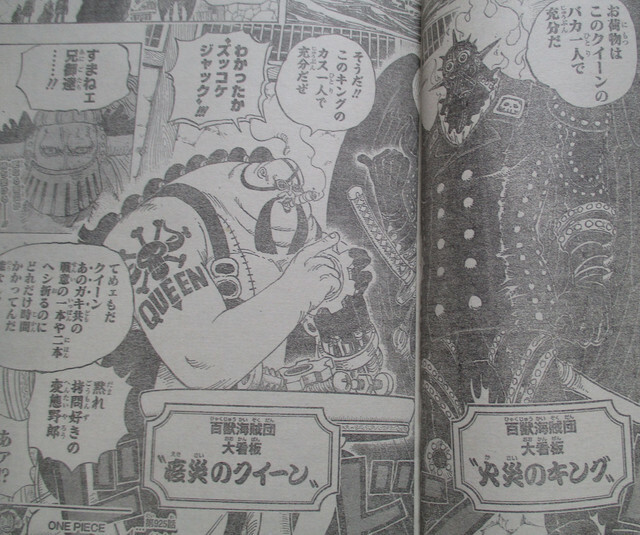 That crazy yonkou Big Mom is also going there! Blackbeard: what do you think? It’s happening! The strong ones are now fighting over that one throne! Wano Second Act Begin: Shutenmaru is fighting with Inuarashi,they seem to have equal strength,while kinemon is trying to convince him. Tama is already recovering under chopper’s care,her wounds didn’t seem to be that severe. Chopper told her that she doesn’t need to worry about Luffy and Raizou says he will help Luffy get out. Onigashima Island: Jack is being scolded by 2 Other Calamities.